Islands have long inspired human imagination, evoking images of far-flung landscapes and vast isolation. 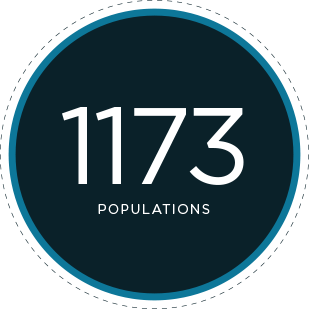 There are more than 460,000 islands on our planet. 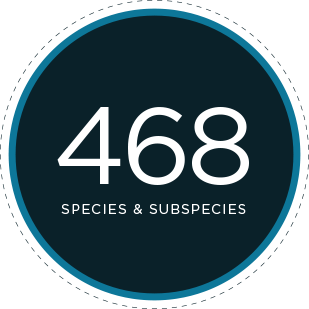 They make up only five percent of the land on our planet yet host extraordinary concentrations of endemic (found nowhere else) species—more per unit area than can be found on continents—and evolution on islands has led to truly remarkable ecological outcomes. Their isolation and the absence of the competition, predation, and herbivory present in mainland habitats allows founding species to evolve diverse and spectacular floras and wildlife. 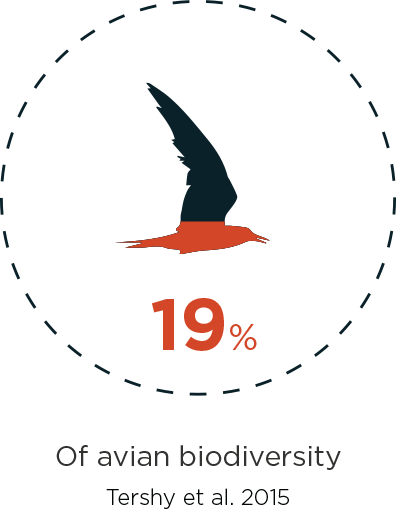 Many island species occur on just a single island—the Juan Fernández Firecrown, the world’s only oceanic hummingbird, is but one example.  At a global scale, conservation has good reason to focus on islands. 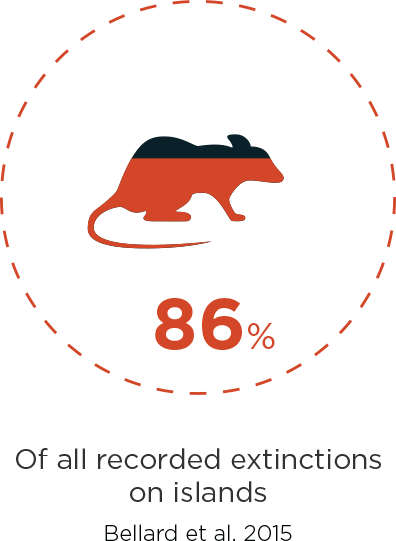 Islands have seen the highest numbers of extinctions in our modern age, and today are home to almost 40 percent of all animals known to be critically endangered. 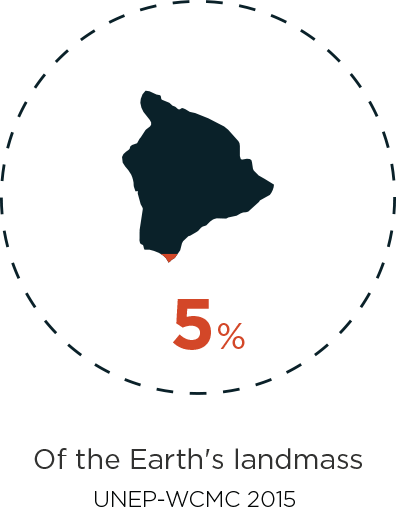 Invasive species, habitat loss and the imminence of climate change are major threats to native island species. 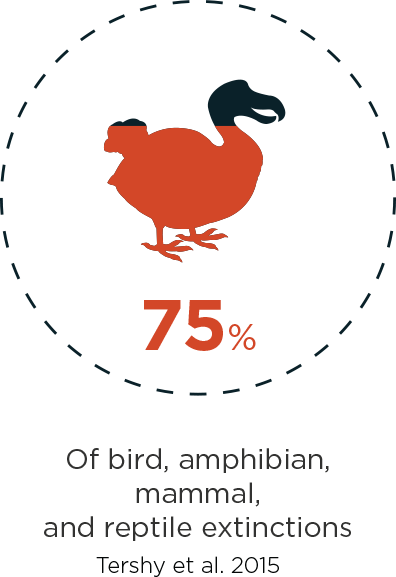 Yet islands offer hope that we can prevent extinctions and protect biodiversity. 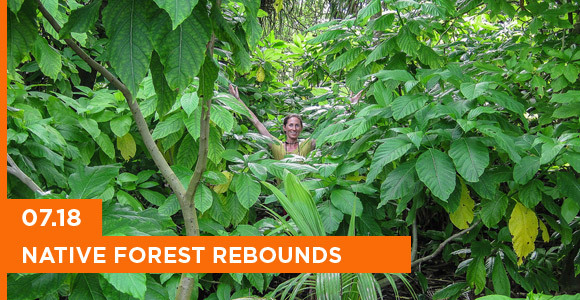 Numerous examples of significant conservation successes have been those on islands, leading to the recovery of often desperately threatened species, and even the rediscovery of species long-thought extinct. The first 10 donors to make a $5,000 gift to Island Conservation in November-December will receive a free Cemex book! This beautiful, coffee-table book explores islands of the world and the landscapes, plants and animals found only in these extraordinary places. Members of Island Conservation’s staff and board were key contributors to this celebration of our world’s islands. Before I say anything else, I’d like to thank you for making all of what we do possible. 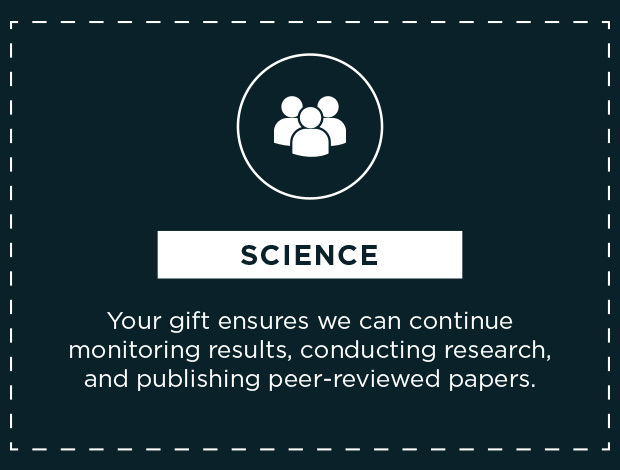 Our tangible, on-the-ground conservation successes are because of the confidence our donors, partners, and friends place in us year after year. Thank you. 2019 will mark Island Conservation’s twenty-fifth anniversary. It all started in 1994 with two professors from the University of California, Santa Cruz—Bernie Tershy and Don Croll—who came up with a big idea: We can save the extraordinary diversity of life from disappearing forever by removing a primary threat—invasive species. From the beginning, their small but mighty band of conservationists relied on the best available science, hard work, innovative ideas, and strong local partners. Today, these principles are still at the core of Island Conservation’s work and guide all our decision making. Our staff, projects, and partnerships have grown, allowing us to scale up our aspirations and tackle big, complicated projects on inhabited islands.  Below you will find our 2017-2018 Impact Report. 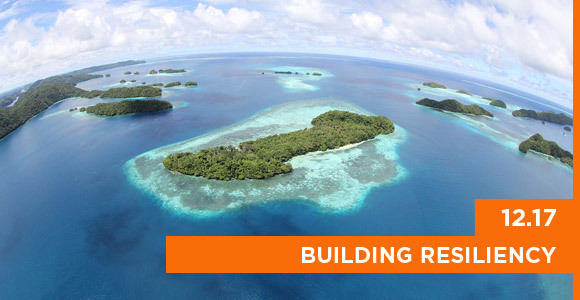 In this, you’ll read about the incredible results we witnessed over the past year on recovering islands and the many projects we recently confirmed successful. 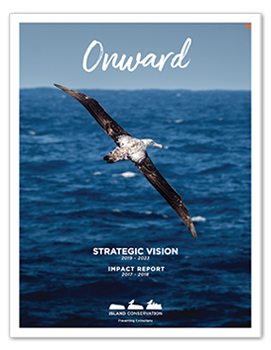 You’ll also learn about the ambitious goals we’ve set for ourselves for 2019 and beyond in this Strategic Vision. 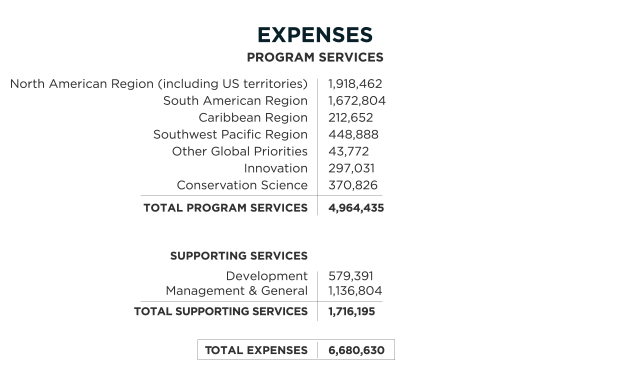 If you care about endangered species, there’s no bigger bang for your buck than island restoration, and Island Conservation is the world leader in this crucial work. 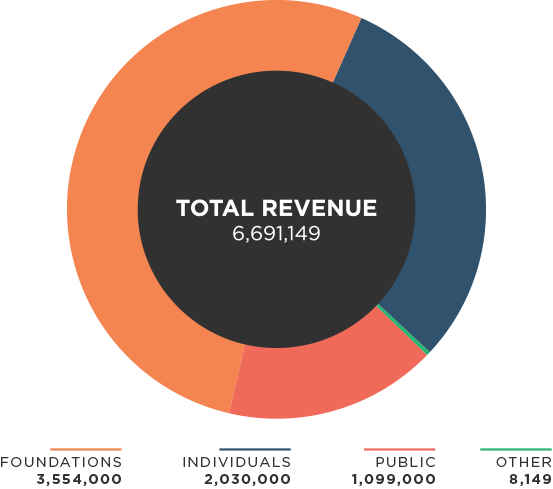 Money given to intelligently targeted conservation groups, such as Island Conservation, produces immediate, concrete, and lasting results. If you want to do something for biodiversity, this is how you do it. The need is urgent, and the goals are achievable. 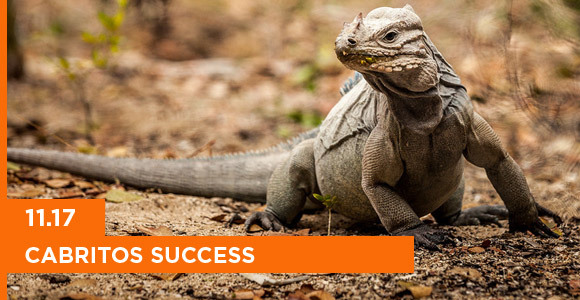 With support from our donors, we achieved great successes for island species and ecosystems over the past 25 years. Please consider investing generously in Island Conservation’s work this year. Together, we can protect the world’s islands for another 25 years and more. 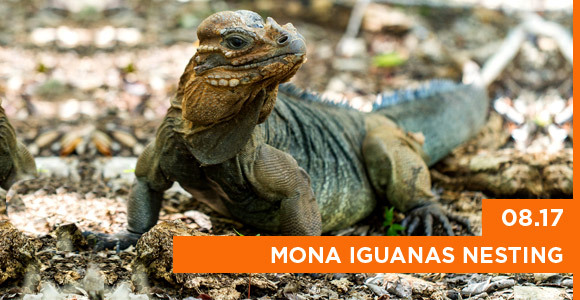 Island Conservation and partners protect critical iguana nesting habitat by removing invasive Australian Pines from Mona Island, Puerto Rico. 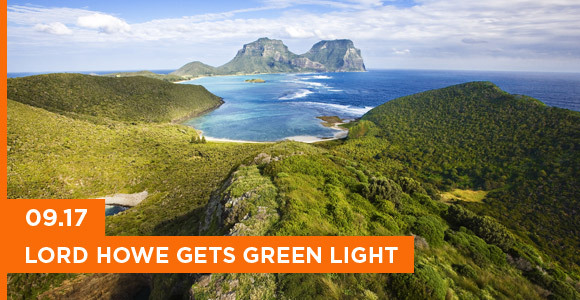 Restoration of Lord Howe Island, Australia can proceed! The removal of invasive species from Lord Howe will mark a significant step for recovery of unique threatened species, including the notorious Lord Howe Island Stick Insect. 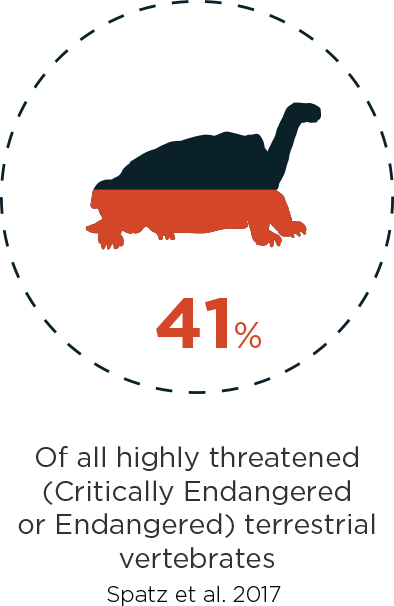 New research from Island Conservation scientists and partners reveals that nearly half (41%) the Earth’s highly threatened vertebrates live on islands and are endangered by invasive species. 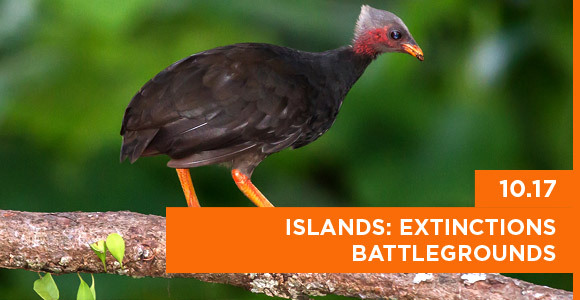 Island Conservation implements a proven approach to safeguarding biodiversity and building resiliency in the face of climate change—removing invasive species from islands. 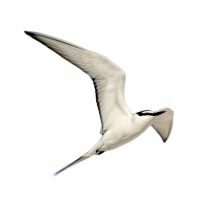 Invasive mice are a dangerous threat to Midway’s native seabirds—devouring eggs, chicks, and even adults. 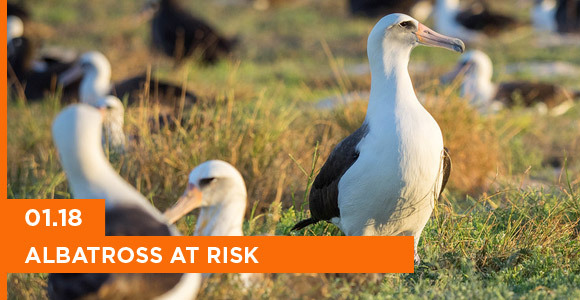 To protect the world’s oldest wild bird Wisdom, her chicks, and other native seabirds in the Northwestern Hawaiian Islands, this crisis must be addressed. 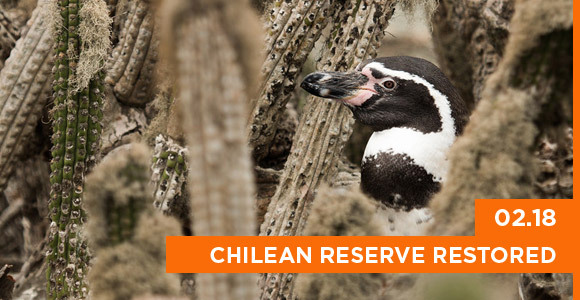 After 100 years, there is a renewed sense of hope on Choros and Chañaral Islands, Chile after the successful removal of invasive rabbits which occupied nests of the Endangered Peruvian Diving-petrel and devoured the cactus species that provided shaded nesting sites for Vulnerable Humboldt Penguin chicks. 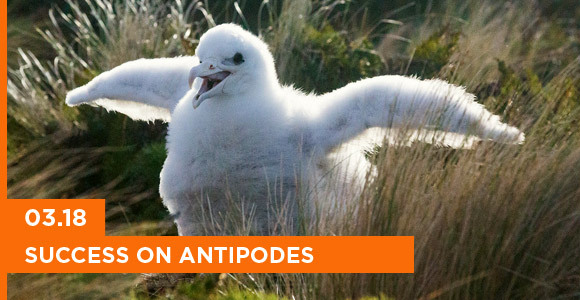 There is hope for the Endangered Antipodean Albatross, the Antipodean Parakeet, and other rare, threatened species following one of the most complex island eradication projects ever removing invasive mice from Antipodes Island, New Zealand. 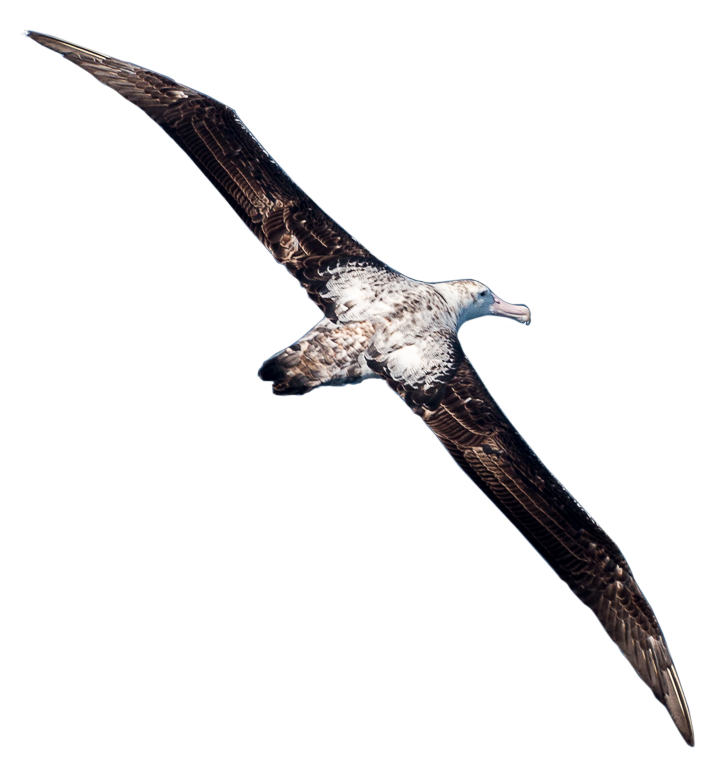 Palmyra Atoll, Line Islands and the Humboldt Penguin National Reserve, Chile are designated as “Hope Spots”. 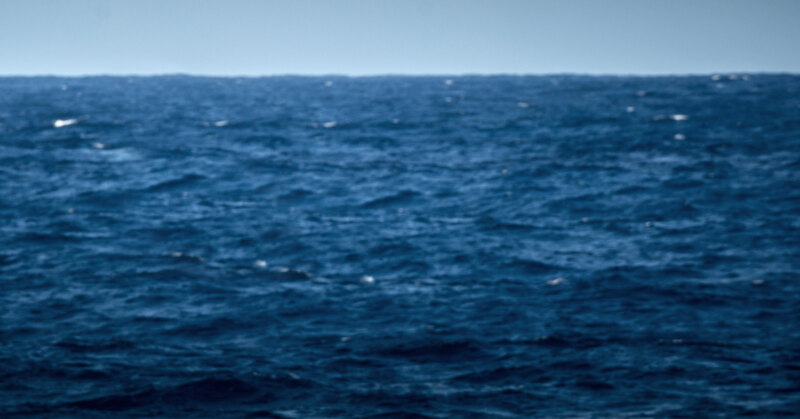 This designation by Sylvia Earle’s non-profit Mission Blue highlights the critical importance of these places to the health of the world’s oceans. 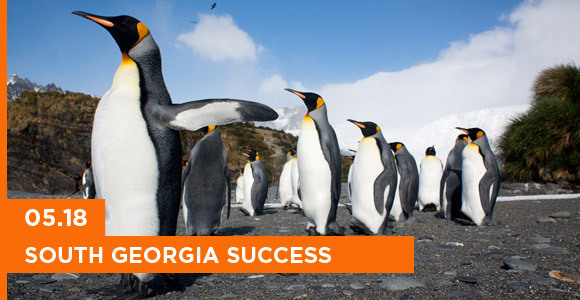 Restoration of South Georgia Island in the South Atlantic now marks the largest rodent eradication project ever. 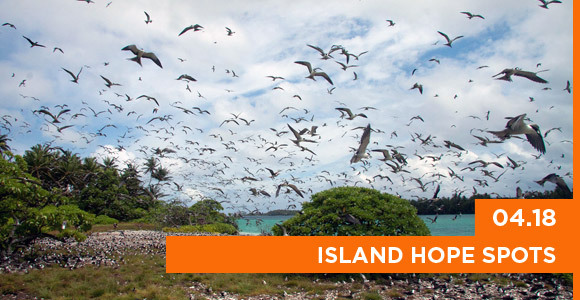 Its success inspires confidence for other complex projects such as Gough and Floreana Islands where Island Conservation and partners are committed to protecting native species by removing invasive species. 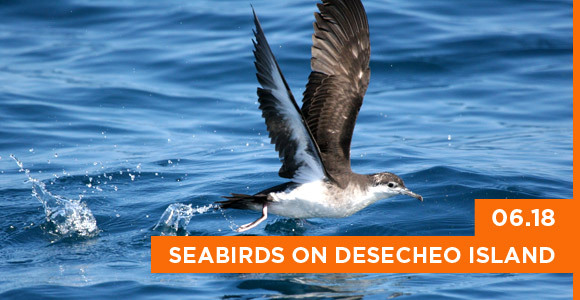 One year after Desecheo Island, Puerto Rico was declared free of invasive species, Island Conservation and partners are seeing signs of recovery, including Audubon’s Shearwaters sighted on the island for the first time and new Bridled Tern nests discovered. 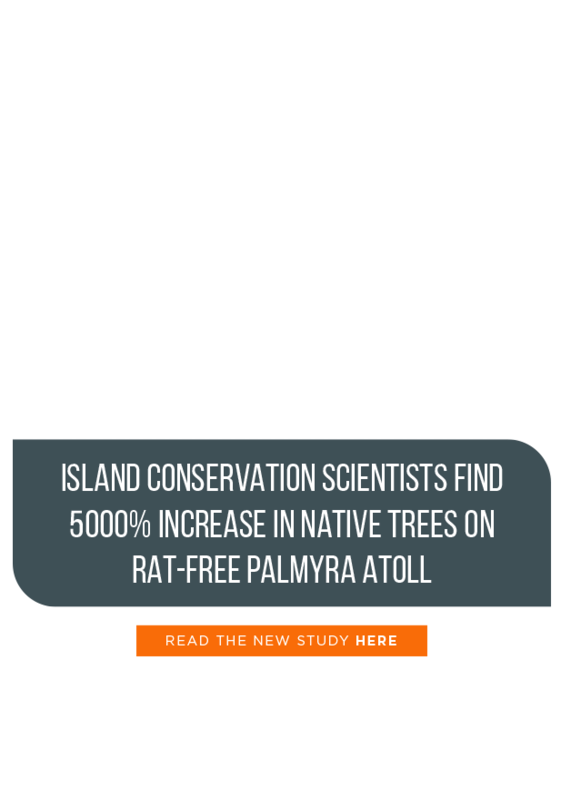 Five years after Island Conservation and partner removed invasive rats from Palmyra Atoll, a team led by Island Conservation’s Coral Wolf set off to monitor the recovery. Wolf found that native Pisonia grandis, as well as other native trees, were not just surviving but thriving with a 5000% increase in recruitment. 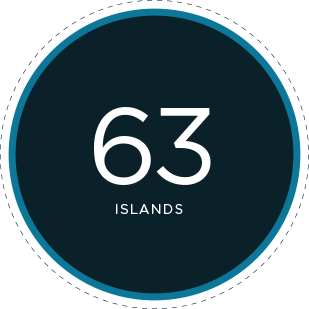 63 islands worldwide, benefiting 1173 populations of 468 species and subspecies. 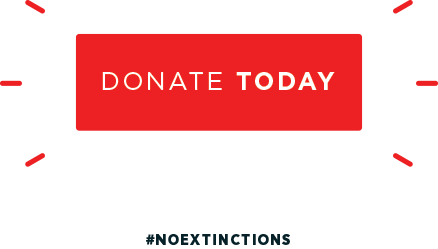 Island Conservation is a science-based nonprofit organization dedicated to preventing extinctions by removing the primary threat to our world’s biodiversity—invasive species. Join us today. 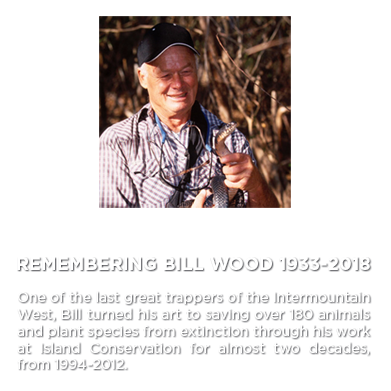 Together, we can save native island plants and animals.